Genuine Soviet Military Unused Suplus. Came from a military warehouse. New. Made in 1980-1990. Woolen cloth and sheep fur. Grey - Blue color. 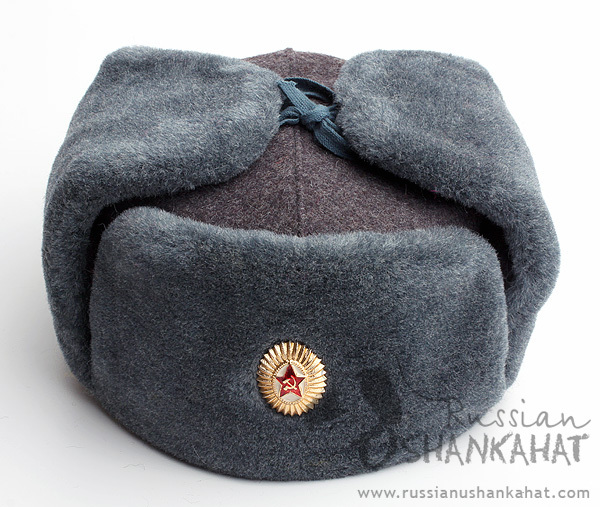 Ushanka hat is a traditional Soviet / Russian army and civilian winter headwear. 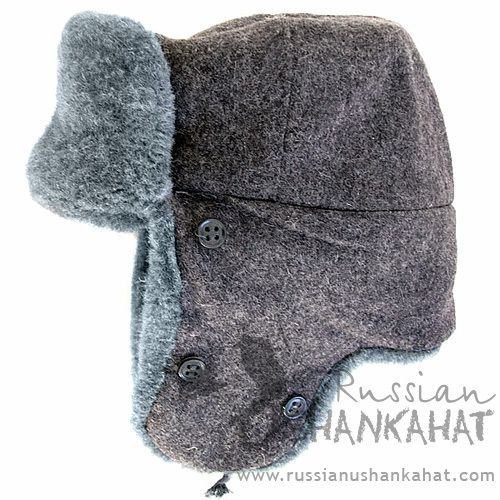 This kind of Russian hat was designed specially for Russian winter as it is perfect for protecting from winds and frost. 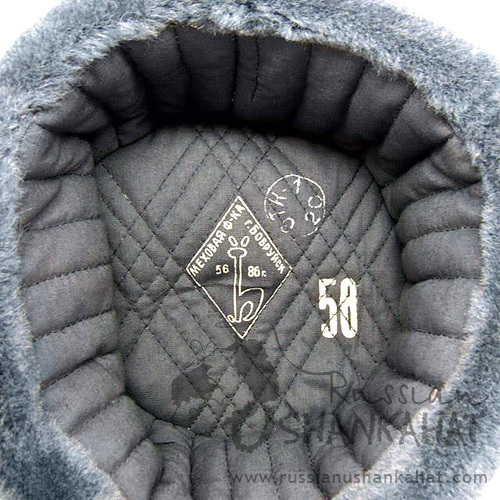 Ushanka can be worn with earflaps tied on top or pulled down for extra warmth and comfort. One more variant - tied behind head so cheeks are open while neck is covered. Quilt lining is provided inside for your warmth and coziness. Great for cold days outdoors, skiing, snowboarding, sledding, hunting or anytime you need to keep warm and in style. 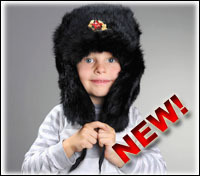 Ushanka hat also become very popular in many other countries as a cold weather hat. Ideal for outdoor workers (construction, city/road repair government workers).